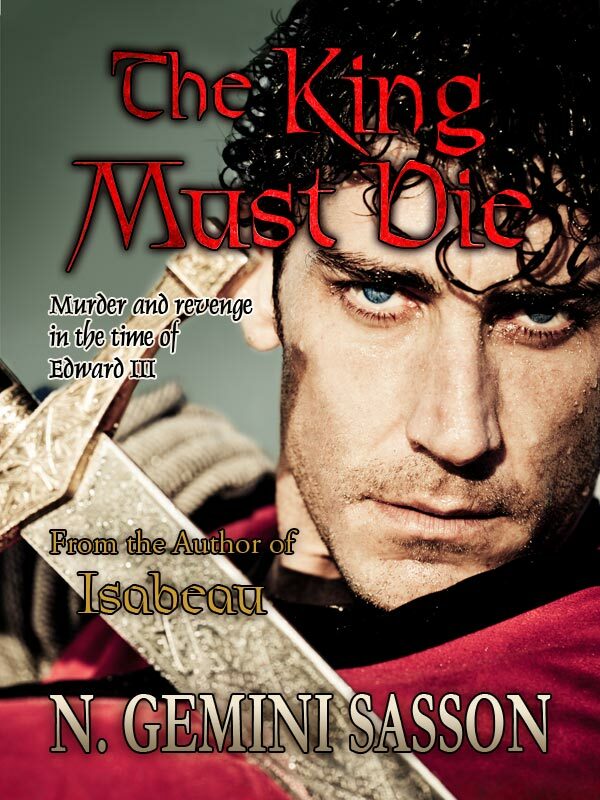 There are so many historical fiction renditions of Edward II's attempted murder and Isabella's supposed involvement. However, N. Sasson has portrayed a different perspective and shone light on the possibility that Isabella didn't try to murder her husband. The dialogue was powerful and N. Sasson brought each of these historical figures to life in her novel The King Must Die. Even though the book is historical fiction and based on an event in history it is still a work of fiction and the author managed to create conflicts, inner turmoil and other conflicts going on around the characters' center issues that they were facing throughout the book. N. Sasson has a gift for story-telling and her talent of imagery made the story so vivid it could easily be interpreted into a visual picture within the imagination. I enjoyed this book, at times it felt rather slow but I would continue to read nonetheless and it would pick up pace again. The dual first-person perspectives between Isabella and her son Edward III was a great way to see both sides of the story and see how much Isabella cared for her son and what great lengths she went to, to protect her child even if he was king. It would be really great to see this adaptation of Edward II's 'murder' to be turned into a movie, through the perspective N. Sasson had painted it in. Don't forget to get your own copy of The King Must Die and stay tuned for a guest post by author N. Gemini Sasson coming shortly! I had a lot of fun with this virtual book tour. Thank you for your honest review & the excerpt. I love history & so am looking forward to reading THE KING MUST DIE. I had such a very eerily similar experience with my sister, an artist. She's the one who made me realize just how many colors there are in everything: a strand of hair, skin, everything. And yes, that changed the way I saw EVERYTHING. I hadn't noticed the glimmers of yellow, and gold, and bronze, and green, that flashes within hair, for instance, when the sunlight hits it.